Once the Bonus has been claimed, your funds will be used in the following order: 1/ Any funds required to trigger the bonus 2/ bonus funds 3/ any remaining funds. Example: You have £5 on your account. You make a £10 deposit and get a £10 bonus. Your Total Balance is now £25. Your Withdrawable Balance is £15 and your Bonus Balance is £10. When you start wagering, £10 from your Withdrawable Balance will be used first. If this is exhausted, £10 from your Bonus Balance will be used next, followed by the remaining £5 from your Withdrawable balance.“” if it applies, example is optional. All real cash spins winnings will be awarded as real cash without any wagering requirements. Unless otherwise stated, any deposit bonuses received will need to be wagered as follows: Bonus x 75. Your balance must reach £0.10 or below for any uncompleted wagering requirements to be voided when playing with an active bonus. The maximum bet permitted when playing with an active bonus is £5 Bets placed over £5 when playing with an active bonus could result in your bonus and winnings being voided. Players can forfeit their bonus amount and respective winnings at any time and withdraw any remaining balance. Whilst you have an active bonus you will be blocked from wagering on the following games: – Blood Suckers, Dead or Alive, Koi Princess, Robin Hood, Reactoonz, The Wish Master, Pearls of India, Tower Quest, Royal Masquerade, Castle Builder II and Game of Thrones. Upon receiving a deposit bonus, you will need to complete any required wagering within 30 days, otherwise your bonus along with any accumulated winnings will expire. Pending times are between 24 to 48 Hours Withdrawal times are from 24 to 72 hours depending on the methods used. 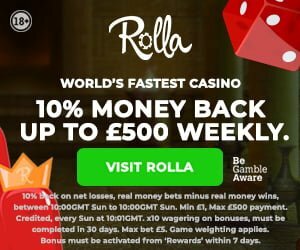 Rolla is a brand new online casino for 2018 and the signs are it could be one of the best of the year. It’s clearly been meticulously and carefully designed to optimise the user experience. The result is a casino which feels different as soon as you log in. We think that most players will love Rolla’s casino’s innovative dashboard, from which you can control your cash, bonuses and easily access your favourite games. This is a gaming platform that has achieved plenty in a comparatively short space of time. It looks like it’s here to stay, so I thought I’d take a closer look. Let me tell you what I found. The appearance of the Rolla Casino login page is like no other for starters. You’re presented with a personalised hub from which you can claim rewards, view featured promotions and track your cash position. There’s also a rolling messages sections where you can read your latest notifications. The positioning of the different aspects of your account presents a genuine dashboard with an interesting layout. In an industry full of identical online casinos, it’s unarguably refreshing to see any sort of unique thinking. I also like that the design team have struck a perfect balance between neatness and edgy modernity. The casino site looks really slick on both mobile and desktop without being distracting or gimmicky. It’s all very easy to like right from your first visit. Because the hub is the beating heart of the Rolla Casino experience, it takes up the majority of the homepage. Unusually, therefore, the games catalogue is stored separately but easily accessible from a simple link in the top menu. It’s another strikingly attractive section of the site. There’s a large search box at the top of the page above colourful symbols which denote different types of games. The game thumbnails are taller than they are wide, while some slots are featured more prominently in larger images. Rolla Casino also uses content sparingly but sensibly. The team intersperse images amongst the words. 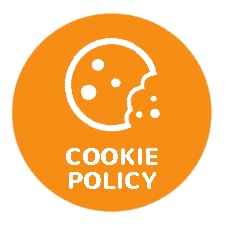 They also write in plain image and clear fonts, even in the terms and conditions section. There’s not attempt to bury anything in ‘small print’ here. The beautifully designed Rolla Casino games page could do a few more filtering options (it would be nice to filter by software supplier even though the thumbnails tell you who made the game) because it’s a cracking collection of slots and other casino games for such a young site. It helps that Rolla Casino is part of the GIG group, which has rapidly become a major player on in the online casino industry. The prestige has helped it build an excellent live casino in addition to a fine selection of online slot machines, progressive jackpots, scratch cards and table games like blackjack, video poker and roulette from many of the best game makers in the industry. Plus, there’s a little icon on the thumbnail for each game which tells you the provider. By and large, I’m impressed by the size and scope of the Rolla Casino games catalogue. The live casino has more than half a dozen variations of roulette, poker, baccarat and blackjack games hosted by a human dealer over video link up.. I’d expect them to expand that number further as the online casino grows and becomes more popular. Oddly, the site lacks a specific section for its progressive jackpot slots, of which there are plenty. Both Mega Moolah and Mega Fortune are included. The two biggest jackpots in the business tend to provide a good barometer of any casino’s appetite for jackpot slots. They don’t quite have the strength in depth of some other casino sites beyond those two, although you can play the likes of cult favourite Hall of Gods. It’s the standard video slot machines that make the biggest impression though. There’s a great library of slots available. It’s the sort of games catalogue that’s ripe for browsing. Rolla Casino ignores traditional promotions in favour of their very own concept of ‘Rolla Riches’. That being said there is no Rolla Casino no deposit bonus at this time. They do however have a mixture of standard promotions, challenges and associated rewards which a regular player can consistently enjoy. Missions are accessible from your dashboard, from which you can also redeem any bonuses you collect as a result of your activity in the casino. Unlike some casinos which encourage members to complete missions, the reward you receive from Rolla Casino tangibly improve as you play more. I really like this approach to casino bonuses. It’s so much easier to wrap your head around than complicated VIP schemes and ensures you feel like you can play at your own pace. Despite their innovative approach to bonus promotions, the casino’s welcome bonus is quite a traditional offer. New players do not have a welcome bonus anymore. The 100% bonus up to £100 is now replaced with a 10% cashback offer up to 500. Also, as a free spins fan, it’s disappointing that the bonus ends there – with no free spins included at all. However, there is no reason to be too negative. If you lose you still win – well 10% cashback at least. As you play you will automatically start completing missions and pocketing the associated rewards. You just get the feeling that Rolla Casino values repeated casino offers more than its one-off welcome offer, and it’s not like that’s a bad approach. So, Rolla Casino hasn’t introduced either any deposit bonus or a Rolla Casino free spins bundle to their advertised welcome bonus package as yet. I say ‘as yet’ because this online casino has only just opened its virtual doors at the time of writing. Indeed, UK players have only been eligible to play at Rolla for a few days. There’s plenty of time for the casino site to add a free spins package to the welcome offer but even if they don’t, the chances are that you won’t be waiting long before you pick up some free spins as a regular player. Indeed, free spins bonuses are the most common reward that Rolla Casino offers to players who complete their plentiful missions and challenges. The bonus spins are usually attached to one of the more popular video slots in their collection, and often to NetEnt or MicroGaming virtual slot machines. All that means that you won’t be short of free spins bonuses as a regular Rolla Casino player. The bespoke ‘Rewards’ section of your account will tend to have a couple of bundles waiting for you, just as long as you don’t use them too quickly. The early signs are that there will not be a Rolla Casino bonus code. Your welcome bonus package is automatically available when you make your first deposit, and you are given the opportunity to refuse it if you’d prefer. That allows players who want to play without a bonus so they can avoid the associated wagering requirements can do so. Similarly, Rolla Casino automatically sets challenges for members who play regularly. As one challenge is completed, another begins. Again. you can choose to opt out of the resulting bonuses and free spins rewards if you prefer. WHERE IS ROLLA CASINO LICENSED? I’m based in the UK and when I was first asked to review Rolla Casino, I had to use a VPN to access the casino site. Happily, however, they have just secured a license from the UK Gambling Commission, which means I can access the casino from my own country without any tricks or deceit. Given the online casino’s superb pedigree, it’s little wonder they have been endorsed by the Commission, which is widely considered the most stringent of all the regulators. Before securing the license from the Gambling Commission, Rolla also earned the approval of the Malta Gaming Authority, another respected body. The casino has achieved the licenses in double quick time thanks in no small part to an excellent customer service records, solid SSL security systems and a laudable attitude towards responsible gaming. It means you can play with peace of mind, safe in the knowledge that both your personal and banking details will be treated carefully, no matter which payment methods you use. Like most modern online casinos, the Rolla Casino mobile casino is available on most iOS and Android smartphones and tablets. The mobile casino has been optimised to perfectly fit the screen size of your mobile device and boy, does it look great. Rolla Casino has maintained the dashboard for mobile players but adapted it perfectly, while you can use a full cashier function and seek support from the live chat team from your mobile device. In truth, these are pretty much minimum requirements for any modern day gaming platform but Rolla Casino has pulled off the transition commendably. Their mobile casino both looks and plays great, with no glitches, alignment issues or significant missing functionality. One of the best things about doing the Rolla Casino Review is the fact that Rolla Casino is only days old at the time of writing, but you’d never guess it. The site is attractive and well-designed. 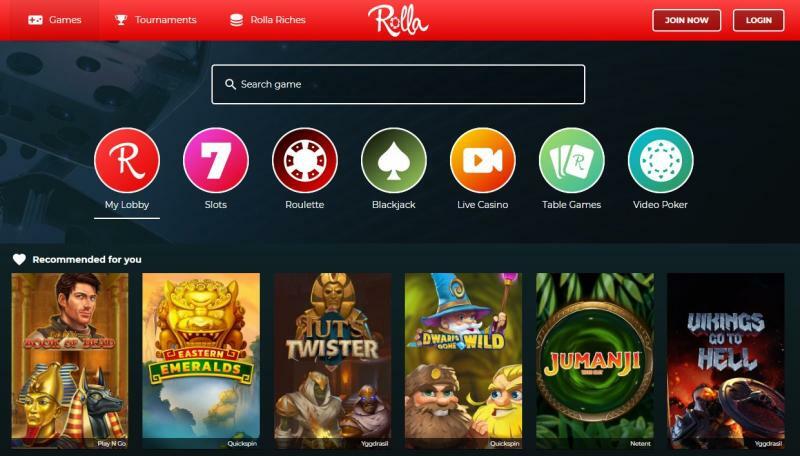 The unique dashboard concept may seem like a simple extension of the My Account sections used by other online casinos, but it makes a huge difference to your overall playing experienced at Rolla. Although the welcome bonus is a little bit underwhelming, it’s just a platform from which you can launch yourself into a series of challenges and associated rewards which ensure that you are left yearning for bonuses and free spins. It’s one heck of a start for this new entry to the market and I fully expect further improvements from here. Rolla Casino has the look and feel of an online casino that will be around for the long haul. Now is a great time to join, you’ll be considered a trendsetter in a few years’ time. Over 750 titles to choose from Including video slots, live casino, jack pot/progressive slots, table games from some of the best game developers In the industry. There is also over 600 mobile friendly games available. Be the first to review and rate Rolla Casino!